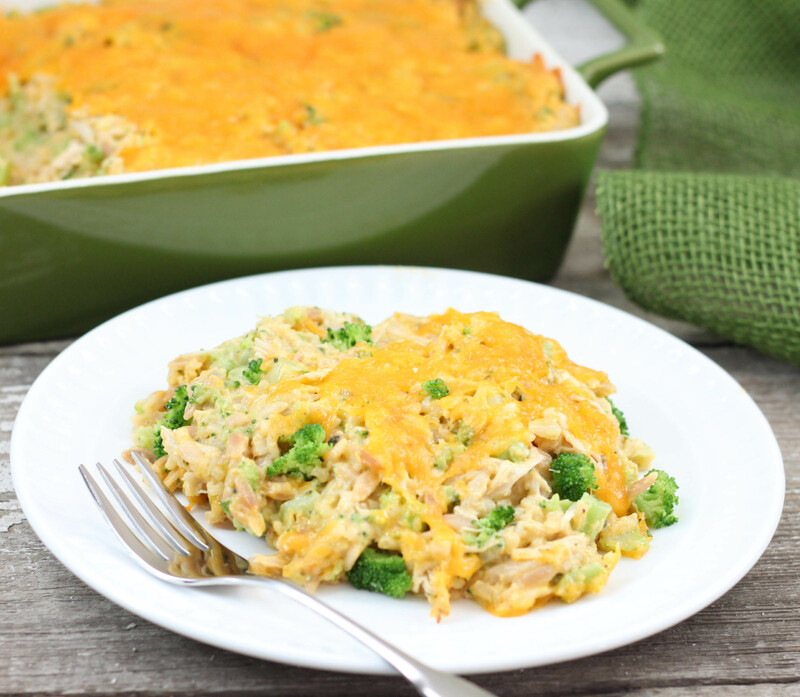 This recipe should be called how I get my picky eater to eat broccoli. Seriously, the only way he will eat it. This meal is easy to make and makes a great freezer meal. I love that this recipe uses the Rice A Roni package because it helps add a little more flavor and texture than using regular rice. You will need to cook the rice according to package directions. Depending on what type/size of frozen broccoli you get you may want to cook it for a couple minutes before adding it to the rest of the ingredients. The larger the pieces the longer it will take to cook. I like crunchy broccoli but know that not everyone does. 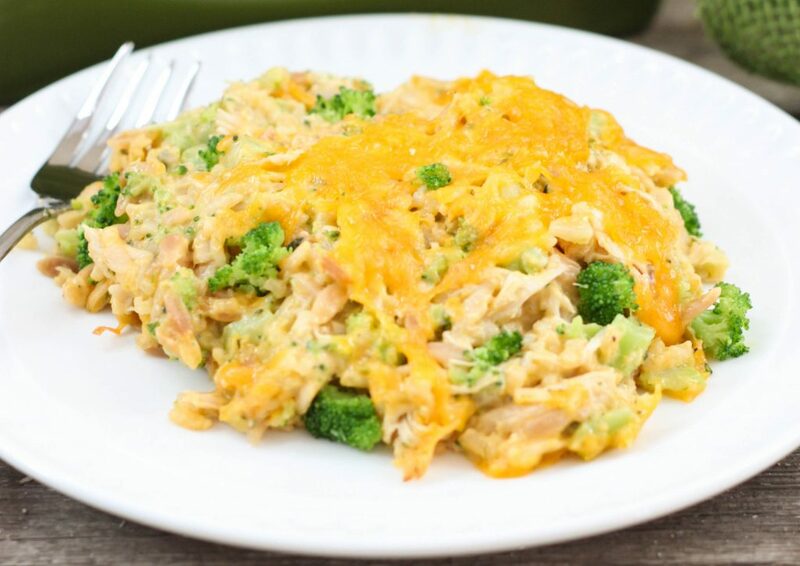 Rotisserie chicken is my favorite to use in this recipe but any cooked chicken can work. 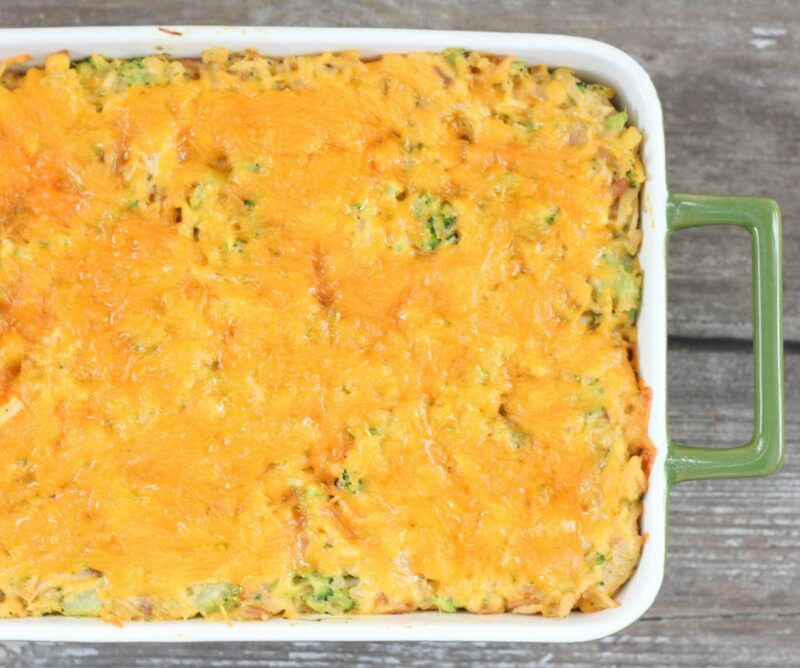 To freeze the casserole, wrap the unbaked casserole in plastic wrap and or foil. To cook pull the casserole out the night before you plan to serve it and bake at 350 degrees until heated through, about 45 minutes depending on how thawed it gets. Prepare the Rice a Roni according to package directions. 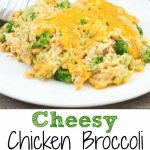 In a large bowl combine, cream of chicken soup, cheddar cheese soup, broccoli, chicken, lemon juice and mix together. Add the hot rice mixture; stir. Pour mixture in a 9x13 inch greased pan. Bake at 350 degrees for 20-25 minutes until heated throughout.